Jeff & Michele’s site is designed to, like their photography, tell a compelling story. 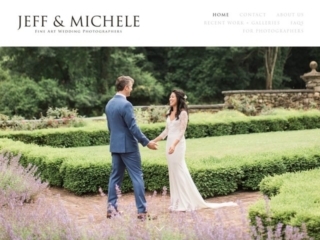 Parallax scrolling images and strategically placed content clearly and emotionally communicates Jeff & Michele’s brand as gorgeous, intimate, and fun. As Louisville wedding photographers, Jeff & Michele need to stand out among other wedding photographers in their area without being flashy. 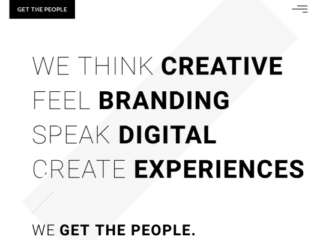 The exclusion of complex graphics and other distracting elements highlights the simplicity and beauty of their brand and portfolio. By showcasing the larger banner parallax images as section intros to key aspects of Jeff & Michele’s wedding photography brand, we avoid being overly focused on a single image as many common photography websites that typically display a large front page image. In this way, the visitor is not only brought to look upon a single image, but is rather gradually guided into a call to action (to contact Jeff & Michele); the visitor catches a glimpse of who Jeff & Michele are, why they do what they do, why it is with excellence that they do it, and then invited to be a part of that experience. Smaller thumbnail images are sprinkled in to provide a broader array of their work, highlighting their breadth of ability. To allow for manual-text adjustment, images are placed as the hand-lettered-style section titles. Sections are closed in lines to create a sense of structure. Jeff & Michele’s logo, as well as their navigation is fixed, allowing the visitor to maintain a sense of brand recognition and a concept of options for easy navigation. Visitors are deeply impressed and drawn deeper with a sense of excellence they easily associate as a part of the expected experience which they now have the compelling opportunity to explore with Jeff & Michele as their story-telling wedding photographers.